Peated. Port wood. Glendronach. Four words I got quite excited about when they were strung together in the same phrase a little while ago. 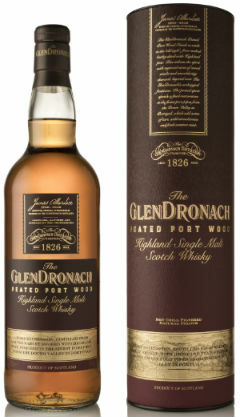 Glendronach have released a peated port matured whisky, taking inspiration from an ‘old style’ of whisky making; using barley dried with Highland peat coupled with the 19th Century practice of importing casked port into Scotland. 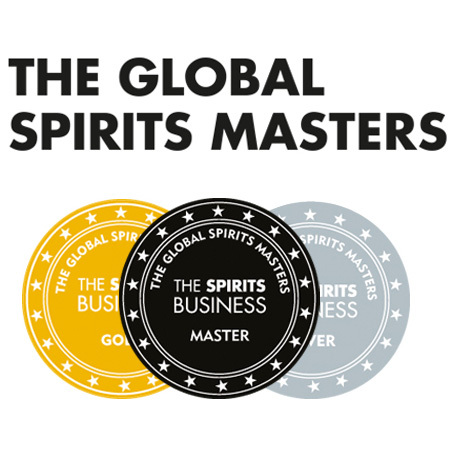 The peated spirit in this case has been matured solely in ex-port casks from the Duoro Valley in Portugal. 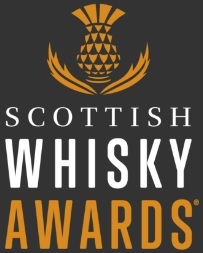 I’m generally a fan of port cask-matured/finished whisky, so I’m expecting a juicy, smoky treat. Gotta aim high, eh? Nose: Cranberries, stewed apple, ‘Strawberry Dreams’ from a box of Roses, and glacé cherries, Danish Pasrties and roasted walnuts give this a real sweet, juicy start. Then herbal, earthy notes of bracken, wet slate, charred twigs, and smouldering gorse power through. Palate: The opposite way round now, with the smoke rolling over the tongue first; singed heather, sweet leather, aromatic wood smoke (burning sandalwood?) barbequed bananas, and charred pineapple. Then there’s the sweetness, with blackberry, figs, dates, and raspberry ice cream sauce before some cocoa and lapsang souchong drift through. Finish: sweetly smoky, with some cask stave and syrupy fruits. Overall: Aimed high, and hit the target square on the nose. I really, really enjoyed this. I’m a big fan of Glendronach, and when a whisky comes with a bit of hype (even if it was only in my own mind) it’s a tough task to meet expectations, regardless of how old, rare, or expensive the bottle is. This is £60 well spent. It really is. Go on, treat yourself this Christmas, and snap up a bottle of this before it’s sold out. This entry was posted	on Thursday, December 21st, 2017 at 12:17 pm	and is filed under Reviews. You can follow any responses to this entry through the RSS 2.0 feed. Responses are currently closed, but you can trackback from your own site.